Dr. Haider Warraich graduated from medical school in Pakistan in 2009. 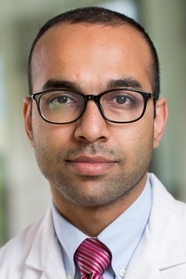 He did his residency in internal medicine at Harvard Medical School’s Beth Israel Deaconess Medical Center, one of the main teaching hospitals of Harvard Medical School. He is currently a fellow in cardiology at Duke University Medical Center. His medical and Op Ed pieces have appeared in many media outlets including the New York Times, The Atlantic, the Wall Street Journal,Slate, and the LA Times among others.